Have a safe and happy 4rth of July. 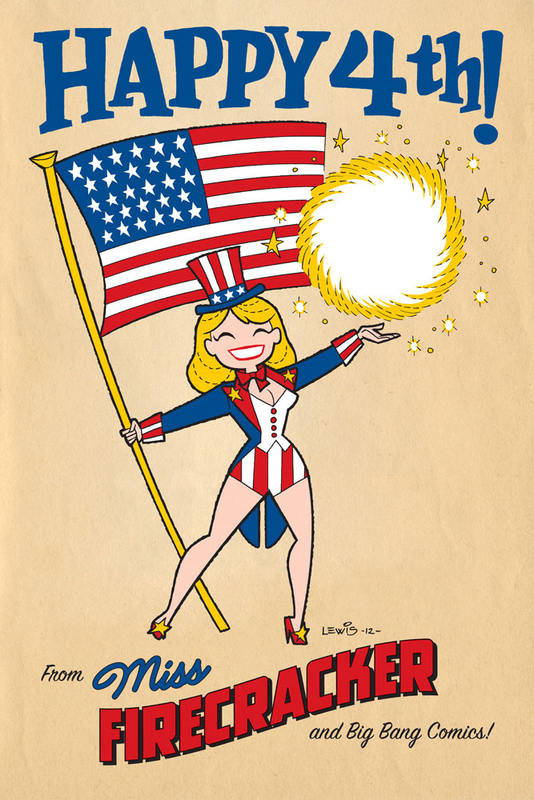 Here’s one of our more patriotic heroes – Miss Firecracker! The top piece was penciled by Mike Worley and inked by Jeff Austin. 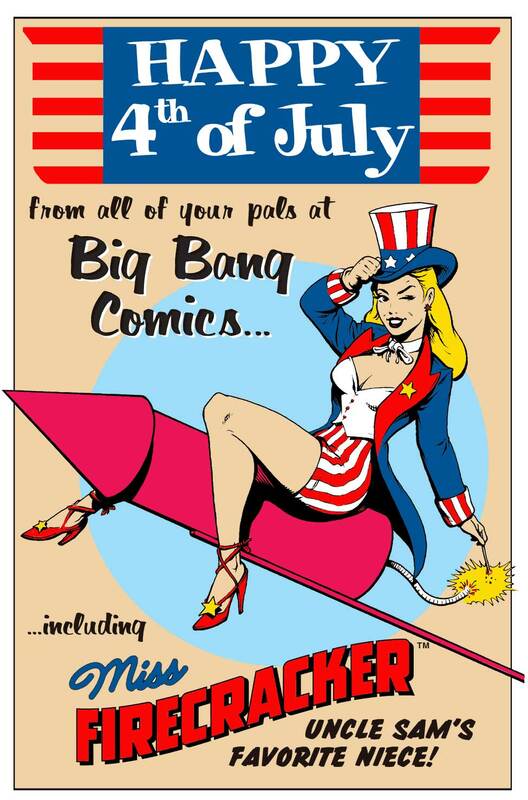 The star was a drop in for the cover of Big Bang Presents #1 by Mark Lewis, where the above pin-up appeared. Mike W and I were working on a Miss F story that was unfortunately never finished. Finally, a pin-up Mark did a while back for his very fun website – http://marklewisdraws.com/ – check it out!